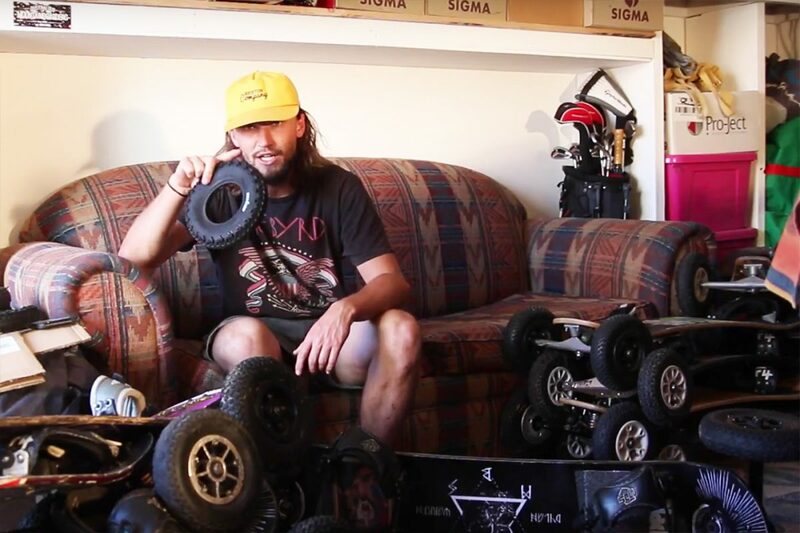 Another tech tip from Dylan Warren – this time it is about changing mountainboard tyres. Again – all our 8″ tyres (T1, T3, Roadies) fit on all our hubs. The 9″ T2s fit on Fivestar or Trispoke hubs. As well as getting the tyres on and off your board and taking apart the hubs, Dylan shows you how to fix a puncture. If you have ever done it on a bike tube, it is basically the same process!